Nancy was born in 1941 in Phoenix and grew up in a hotel on the Arizona-Mexico border where she worked the switchboard at the age of nine. She also found time to hang out in the old state prison and the hobo jungle along the banks of the Colorado River. She attended Reed College in Portland, Oregon, earning her BA in 1963. Instead of taking a regular job, she joined the Peace Corps and was sent to India (1963-1965) . When she returned, she moved into a commune in Berkeley, sold newspapers on the street for a while, then got a job in the Entomology department at UC Berkeley and also took courses in Chemistry there. Restless, again, she decided to visit Africa. She and a friend tried to hitchhike by boat but the ship they'd selected turned out to be stolen and was boarded by the Coast Guard just outside the Golden Gate Bridge. Nancy eventually got to Africa on a legal ship. She spent more than a year on Lake Cabora Bassa in Mozambique, monitoring water weeds. Next she was hired to help control tsetse fly in the dense bush on the banks of the Zambezi in Zimbabwe. Part of the time she spent in the capital, Harare, and was introduced to her soon-to-be husband by his soon-to-be ex-girlfriend. He proposed a week later. Harold and Nancy now live in the Chiricahua Mountains of Arizona on a major drug route for the Sinaloa Cartel. This is the setting for The Lord of Opium. They have a son, Daniel, who is in the U.S. navy. Nancy's honors include the National Book Award for The House of the Scorpion and Newbery Honors for The Ear, the Eye and The Arm, A Girl Named Disaster and The House of the Scorpion. 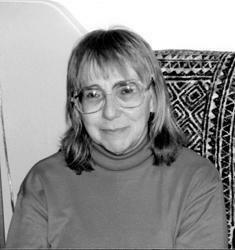 She is the author of nine novels, three picture books and a number of short stories. Her books have been translated into 26 languages.